Football gaming fans rejoice! 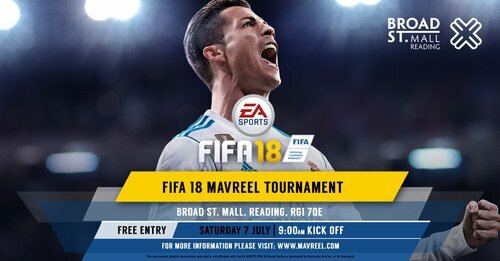 We’ve teamed up with Mavreel to bring you our very own, FREE to participate, FIFA tournament while the action in Russia is still underway! Come down on Saturday 7th July as we play tribute to the greatest game on earth with our FIFA 18 gaming tournament on Sony PlayStation 4. Participation is free of charge but ticketed. Get your free tickets here to guarantee your place. All attendees under the age of 13 must be accompanied by a parent or legal guardian.